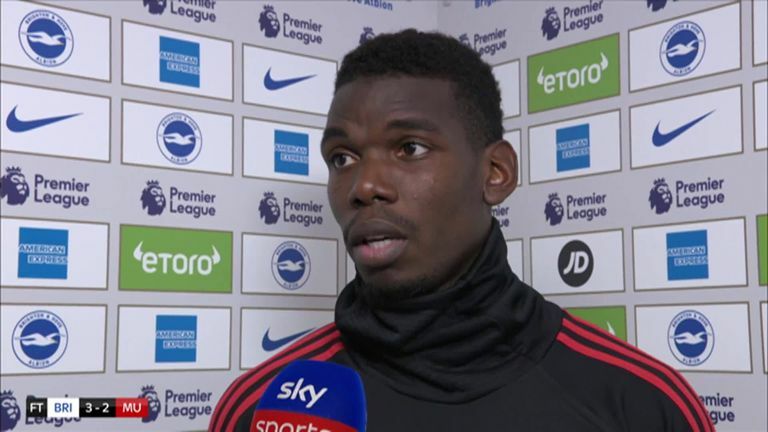 Paul Pogba admitted Manchester United had the wrong attitude in their 3-2 defeat at Brighton - and said he was at fault as much as anyone. United produced a lacklustre display as they were humbled at the Amex Stadium on Sunday. Pogba was again named United captain but failed to replicate his strong showing in the opening-day win over Leicester. "We lost, we did not deserve to win," Pogba told Sky Sports after the match. "The attitude we had was not like we wanted to beat them, they had more hunger than us. "I put myself first, my attitude wasn't right enough, we keep trying and pushing, and it is going to be a big lesson for us." 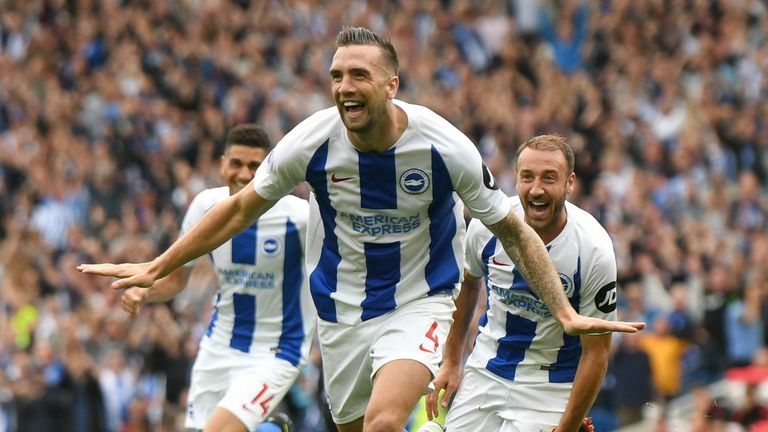 Glenn Murray and Shane Duffy put Brighton two up inside 27 minutes before Romelu Lukaku pulled a goal back. However, Pascal Gross made it 3-1 from the penalty spot and United could not respond until second-half injury-time when Pogba scored a penalty. "I think we made the mistake we shouldn't make," added Pogba. "You go 1-0 down, it's OK, then 2-0, then 2-1 and you have hope we can score again, but we concede a goal. It's a hit for us. In the first half it was a hit. It was very disappointing, we tried to push. "You cannot always approach the game the same way as the last one. You always try to play better than the last game, but we know, and I know we can always play very good, but the attitude has to be good and we missed that today." Asked about the reaction of manager Jose Mourinho at half-time and full-time, Pogba said: "The first half, I think you should ask him. I don't want to talk for other people, I think you should ask him."